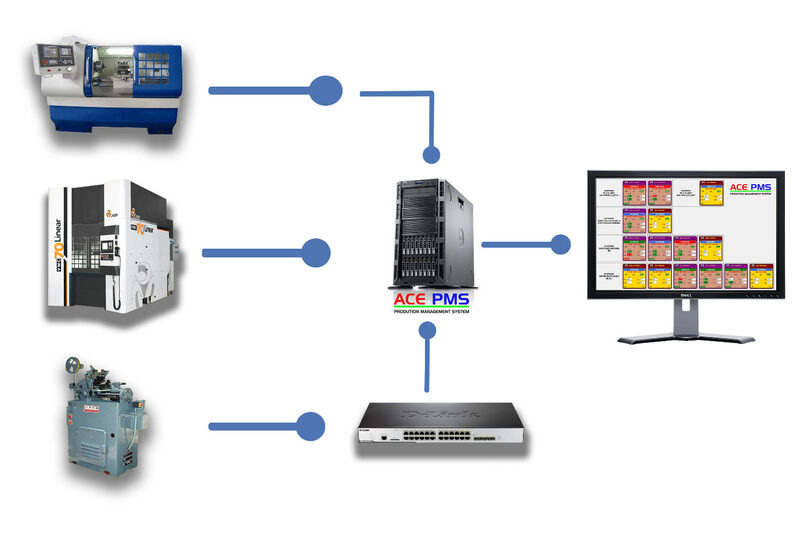 With our ACE PMS, Industrial Internet of Things (IIOT) solution, we bring any machine online. It does not matter whether it is a latest generation controller or a legacy machine a few decades old. 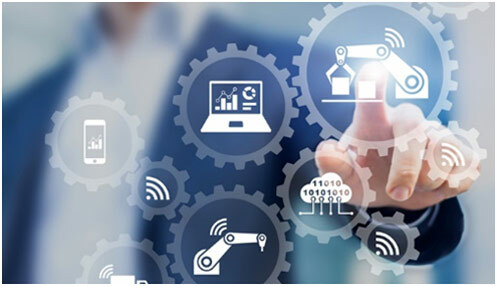 The Product will be hosted at client server environment, which gives you access to your factories in real time, from anywhere in the world with a static IP support system and through any Windows OS based device. Very soon the solution will be available on web-based platform too. 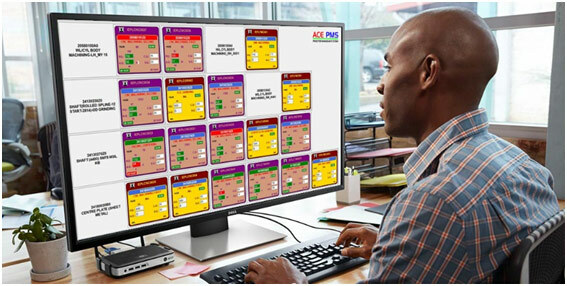 Ace Production Management System assists on planning, producing, monitoring, controlling including with your corrective actions of production activities on Real Time / on line in shop floor. 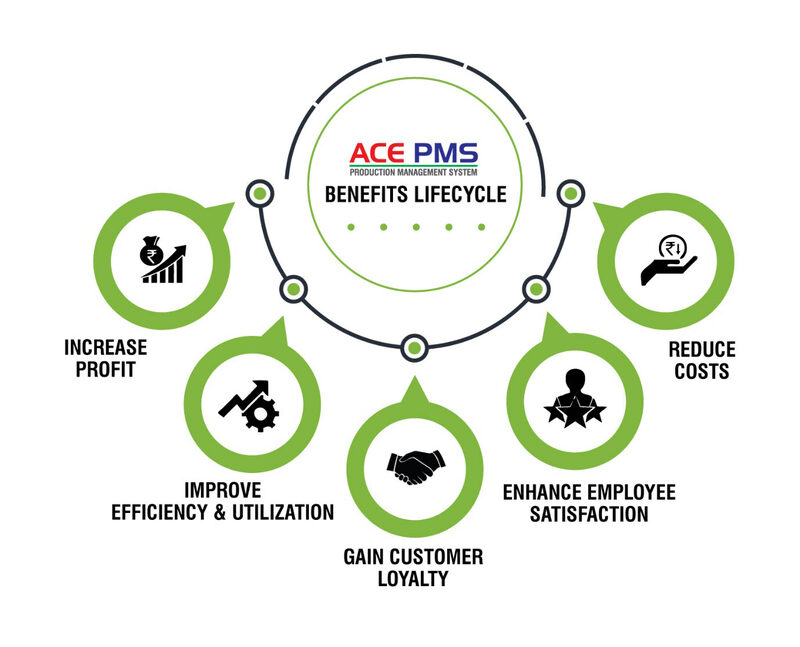 The main objective of Ace Production Management System is to produce good quality and right quantity product at the right time cost effectively. We strongly believe that our product will add tremendous value to your organization / business being economic, friendly, robust & out-of-the-box solution. Machine output captured in Real Time. Easy & Hassle-free log entry with rejections & scrap details. Auto Log entry is possible on user option. Machine loading plan vs actual is available as real time data. Production plan lead & lag is available on online and for immediate rectification. Operator and machine efficiency is captured on real time. All Downtime are captured with proper reason for the future corrective actions. 4m violation are monitored online(Man Machine Method). Program and process changes are available on real time. Increase or decrease in cycle time is visible on Real Time. 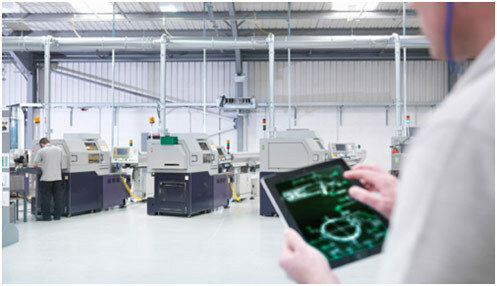 ACEPMS Industry 4.0 & IIOT Solutions transforms your Business Models & Process.